As twenty-two regional airports go through a facelift, and exclusive business hotels and exotic resorts spring up in new and established locations, choices for corporates to conduct meetings, incentives, conventions and events (MICE) within India are rapidly multiplying. Hyderabad, Pune, Bangalore, Noida, Gurgaon and Chennai are stiff competition for established destinations like Delhi, Mumbai and Kolkata. Goa, Kerala, Agra and Rajasthan are non-traditional business locations, but extremely high on the "wow" factor. Similarly, Chandigarh, Ludhiana, Mussoorie, Nainital, Bhubaneswar, Simla and Srinagar are catching the imagination of conference planners for the 'freshness' that they have to offer. Choices for MICE in India will expand exponentially by 2010-12 when under construction projects by global hotel brands such as the Four Seasons, Mandarin Oriental, Sofitel, Aman, Marriott, Crowne Plaza, Novotel, Grand Hyatt, Shangri-La and Radisson are completed. 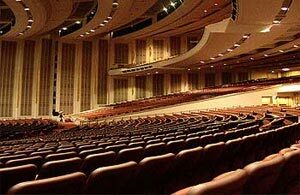 A look at the meetings, incentives, convention and conference facilities available in India. MICE- the new form of business tourism is the fastest growing section of the International tourism market. 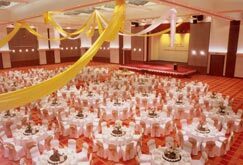 It caters to various forms of business meetings, International conferences and conventions, events and exhibitions and is slowly but steadily capturing every big hotelier's attention. Being a hot favourite tourist destination, India is also very much into the business. After the hot-spots like Hong Kong, Malaysia and Dubai, India is fast gaining its pace in the competition to become an ideal MICE destination. With the advanced technology and facilities, warm hospitality, personalized services coupled with immense natural beauty and rich cultural heritage, the goal seems to be not very far. MICE tourism is the new buzzword in the international tourist market and relates to various business groups and individual travelers. The importance of the MICE industry lies in the fact that it converts the annual business meetings and conferences into a glamorous and enjoyable event for the delegates and attendants. Be it a meeting to bring people together either from within one company or from a broader spectrum or an international conference of 100 delegates or product launch party or exhibition, MICE tourism finds itself being inevitable in all the occasions. To grow the business tourism in India, the country boasts of some world-class convention centres. 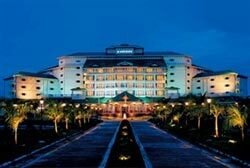 The Ashok, New Delhi; Hyderabad International Convention Centre, Hyderabad; Le Meridien, Cochin are forerunner in the Indian MICE tourism facilitating both domestic and International level of business meetings and conferences. For more information kindly contact us we will help you.